One of the best things about having a daughter with amazingly beautiful long hair is that I get to play with it! I see it as all the joy of long hair without the hassle of the washing and drying. 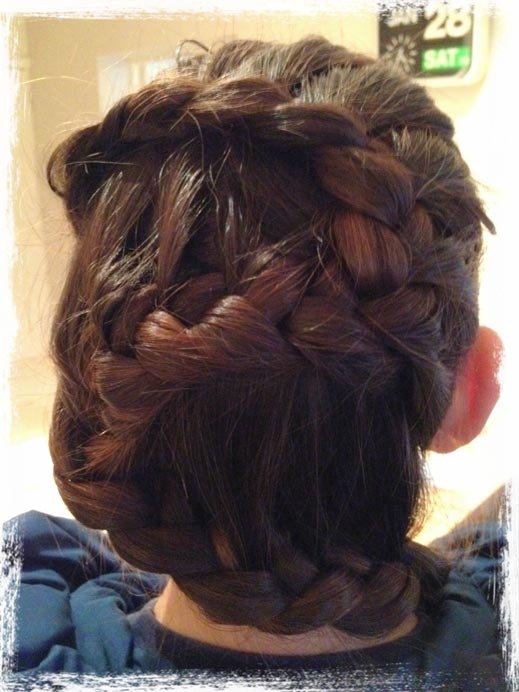 I love to French plait it. 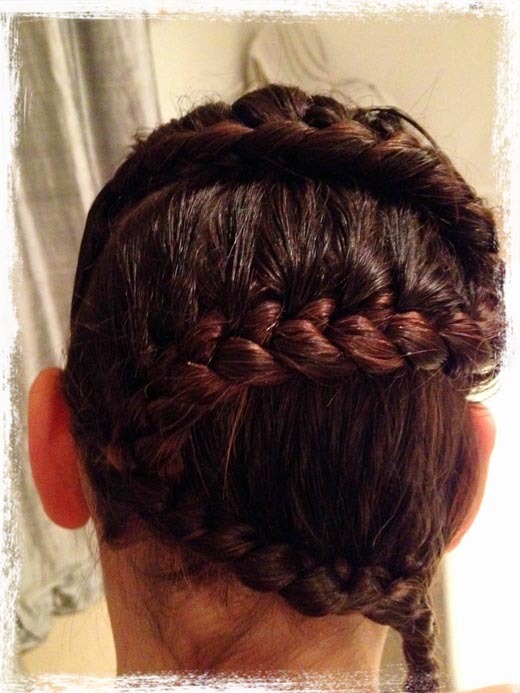 This cool twisty one sided braid took me about less than 2 minutes without the aid of a comb. Then today I tried it on Betty, her hair is just past her shoulders and is a lot shorter than Biba's. This time I sectioned the hair off for a neater look. It took me about 5 minutes. What do you think? Would you like to see a video tutorial?